As much as we love Paris, we unfortunately did not get to experience much of it this time around. Due to the great ticket prices on Ryan Air, we flew from Dublin into Beauvais Airport, a small airport outside of Paris. While the price was right, we had no reason to stay around Beauvais Airport, so we took a hired car to the Novotel hotel, which was located a bit of a hike away near Charles de Gaulle Airport. The reason for driving from Beauvais to Charles de Gaulle is because that is where we were picking up our three month car lease we arranged via Renault Eurodrive. From there, we just drove through the outskirts of Paris on our way to Southern France. Sorry Paris, til next time! 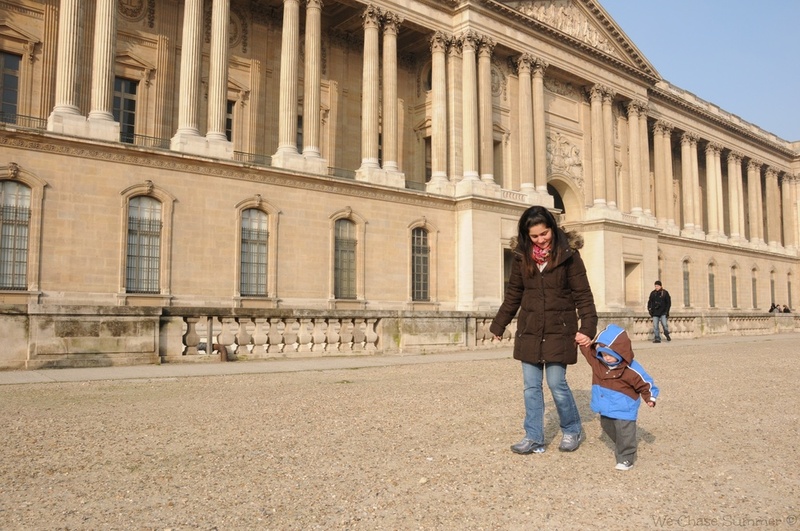 What I will say about Paris is from 2011, when we visited with a then 1 year old Kian. 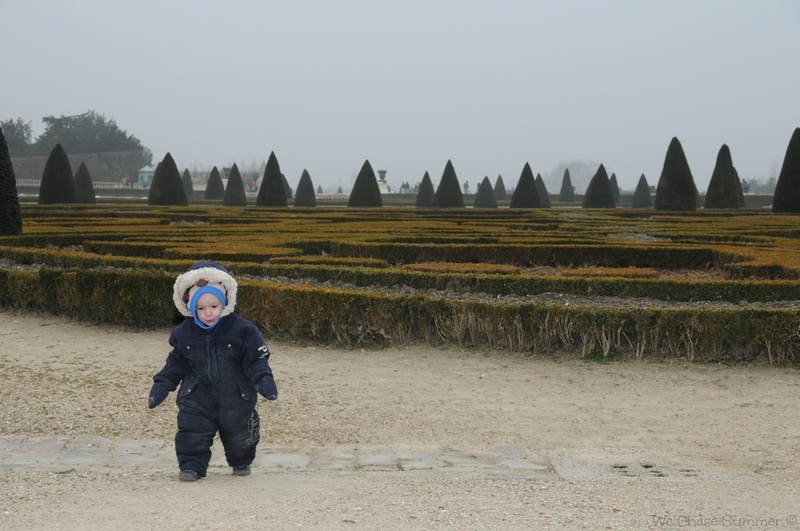 We did not find many places in Paris to be especially accommodating to a young toddler. 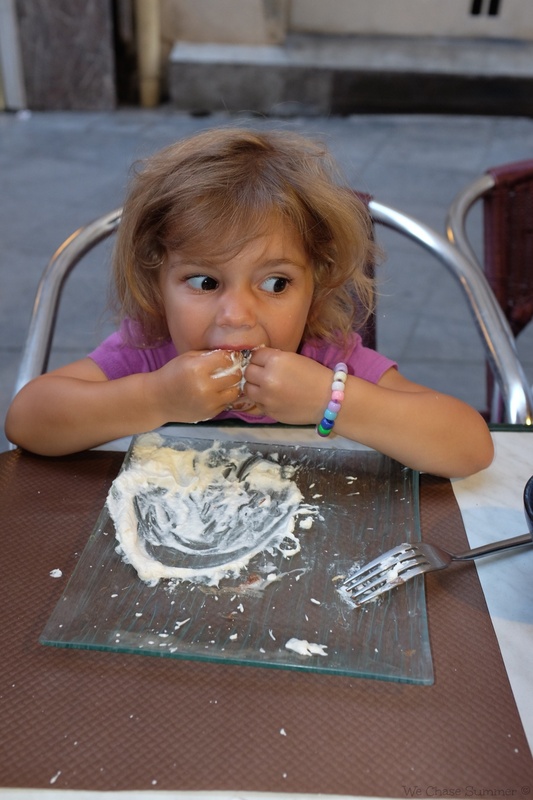 Few restaurants had high chairs or changing tables, making meal experiences not so pleasant. It was also the middle of winter, which is quite a chilly time to be in Paris. 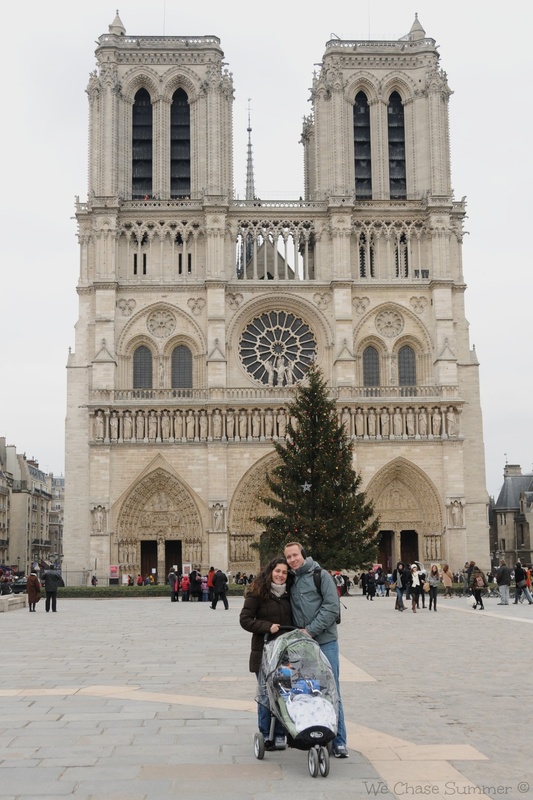 Regardless, Paris is a remarkably beautiful city, and we all managed to enjoy the sights in spite of the cold. Here are some pictures from 2011, before we were chasing summer. Setting Expectations? Nah! You've heard that a million times before. Read on to find out what my one and only piece of advice is for surviving long flights with kids, and whether or not it would work for you. 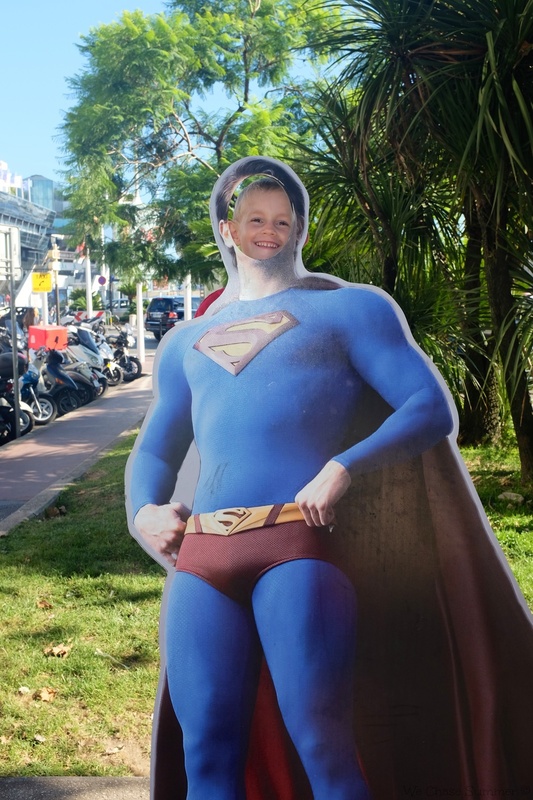 While we were planning our around the world trip, we decided we wanted to stay a month in France, but we didn't really have any specific place in mind. We launched up Air BNB, put in some basic criteria about cost and size requirements, and just browsed around the country to see what was available. Since we knew we wanted to spend the next leg of our adventure in Spain, that made the south of France especially attractive. 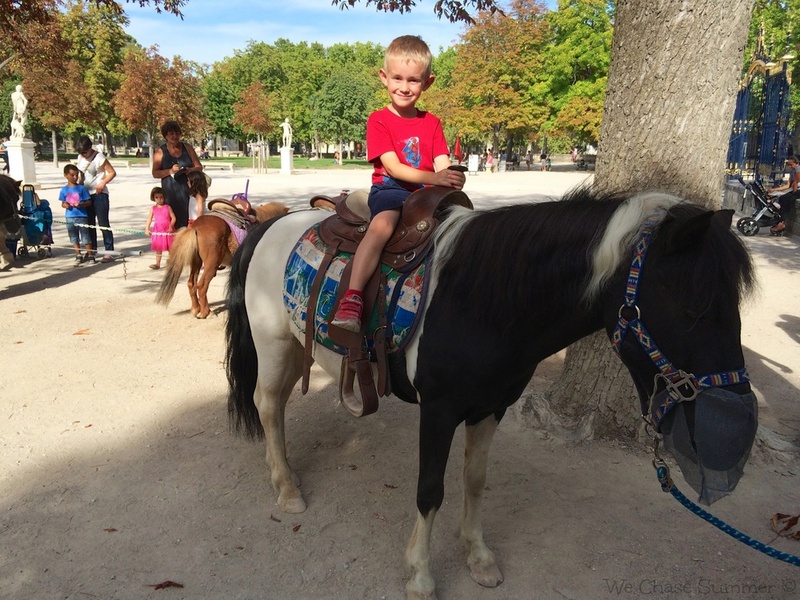 While browsing in that area, we found a very lovely apartment in Nimes that looked great for our family of four. What made it the perfect fit was the second bedroom, which was decorated for a child with lots of cute toys. What sold us on the place was after corresponding with the host she confirmed that the second room is for her grandchildren, and that everything would be left in it for our stay! 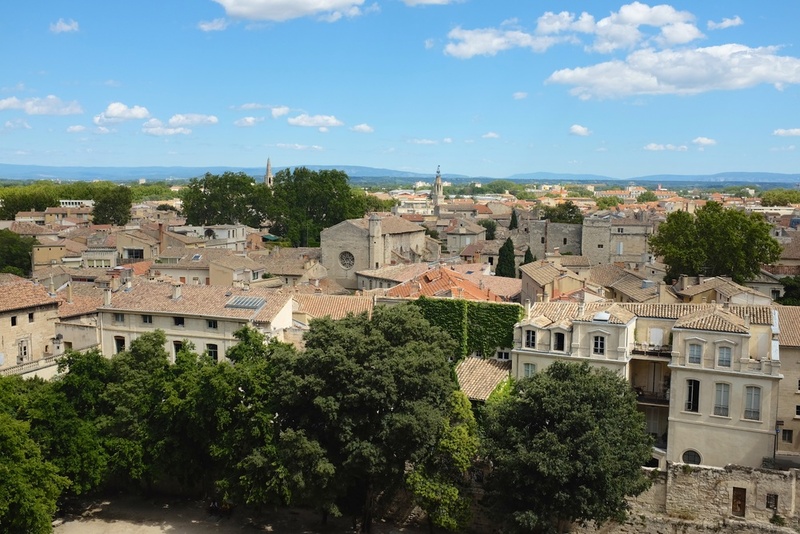 Though we knew next to nothing about Nimes, we could see it was close to the French Riviera, close to Italy, and close to Spain, so we bit the bullet and booked the house. Our month in Nimes was very pleasant. After having been in Ireland for a month, it was a nice way to be brought back to a more city-like lifestyle, without being in someplace too overcrowded. 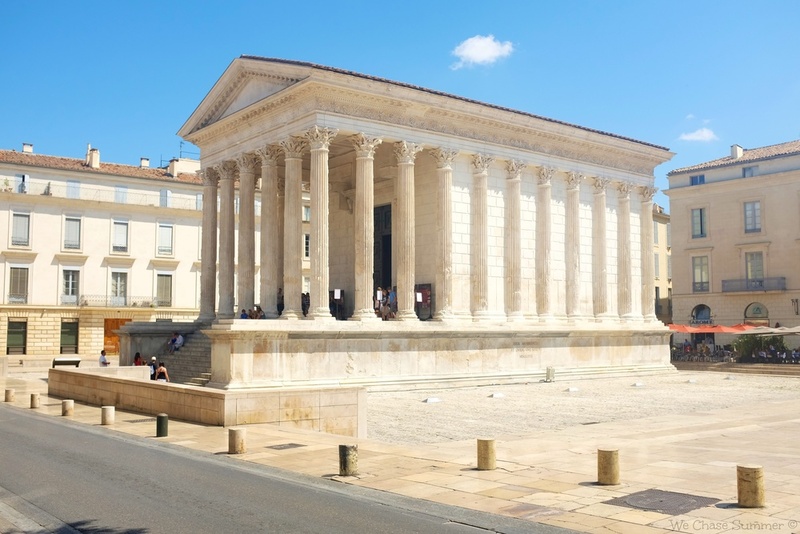 Nimes has some stunning Roman architecture dating back over 2,000 years. We all especially loved the Arenes, which is the best maintained Roman coliseum in the world. 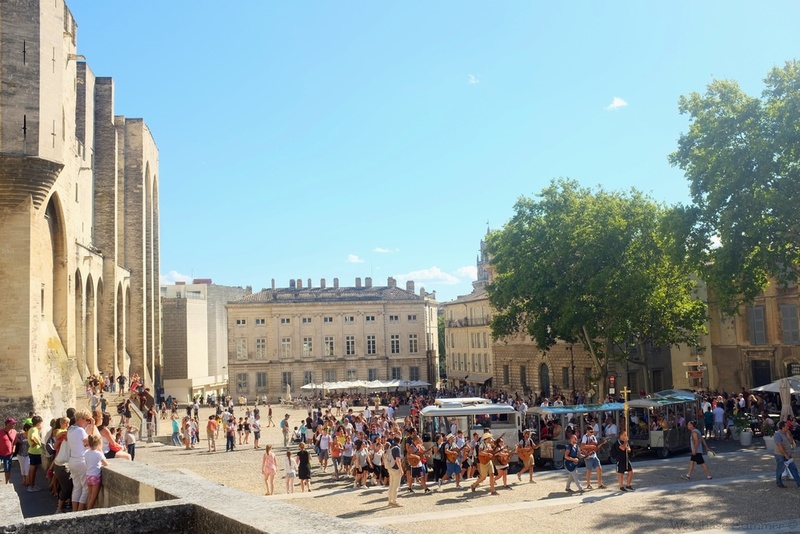 While Nimes does attract many tourists, it is not a major tourist destination compared to some of the other cities in southern France, so it was never too busy or overwhelming. With that said, you really can hit all the major sights in Nimes in just a couple days. After that, we just lived more or less like locals for the rest of the month. 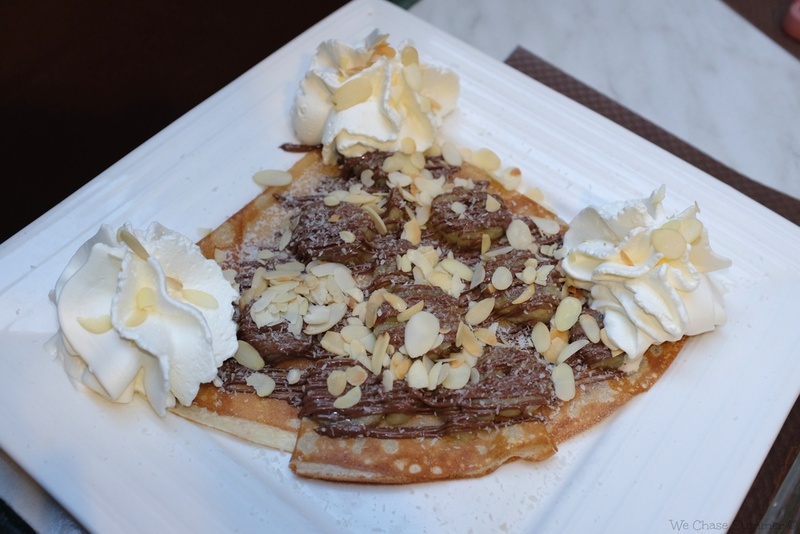 We enjoyed baguettes and brie cheese, crepes with nutella and coconut, playing in fountains on Avenue Jean Jaures, and other such activities. Thankfully, we bring home with us wherever we go, because after all "home is where the heart is". We enjoyed our month and it went by very quickly. 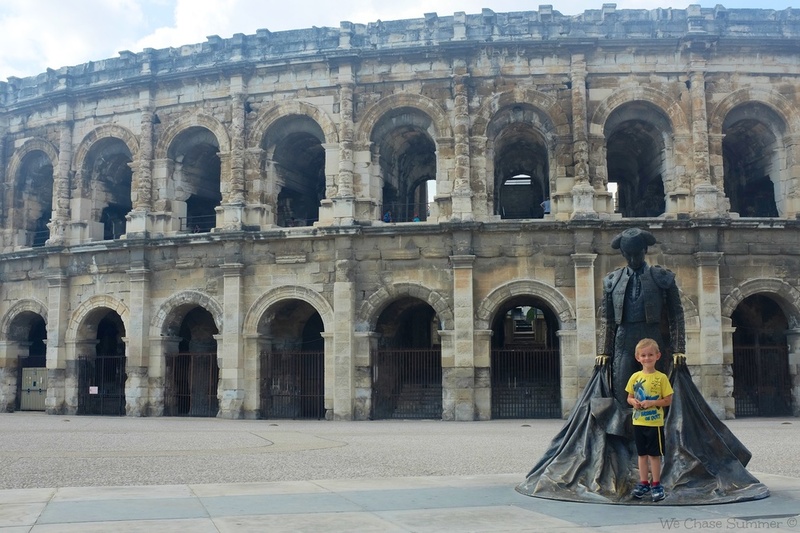 If you are planning a trip to Nimes just to visit the sights, I wouldn't dedicate more than 2-3 days. 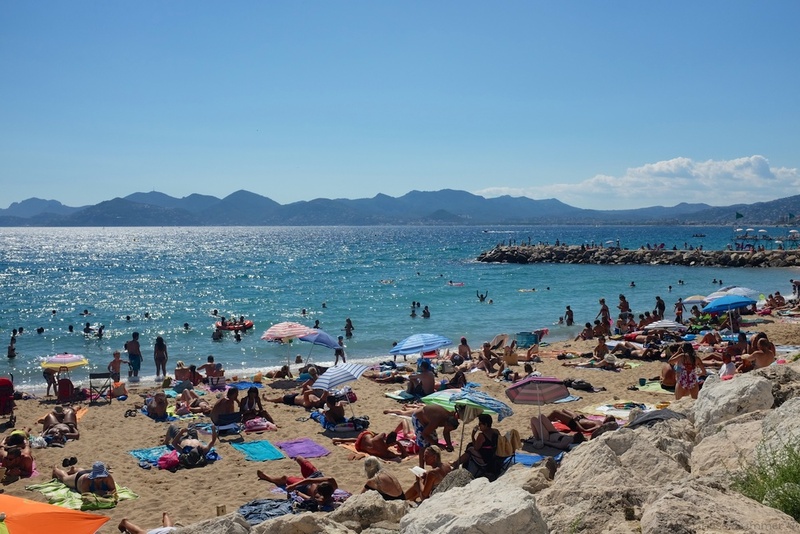 As a hub for southern France, it is okay, but in general the traffic and tolls in the area make a lot of day trips unappealing. What should be a half hour trip to Montpellier or the beach ends up taking closer to an hour for no particular reason other than long lines at toll booths. While that isn't NIme's fault, it is something to keep in mind when traveling in the south of France. 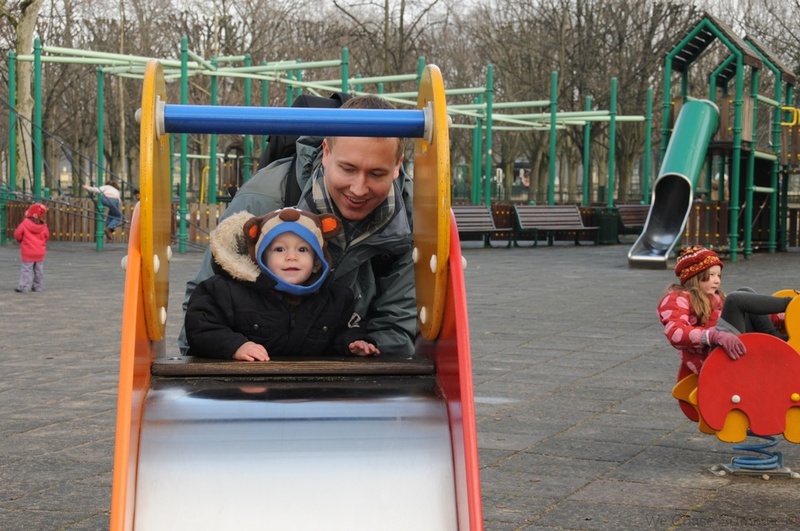 Day 54 - French Playgrounds have no Swings! 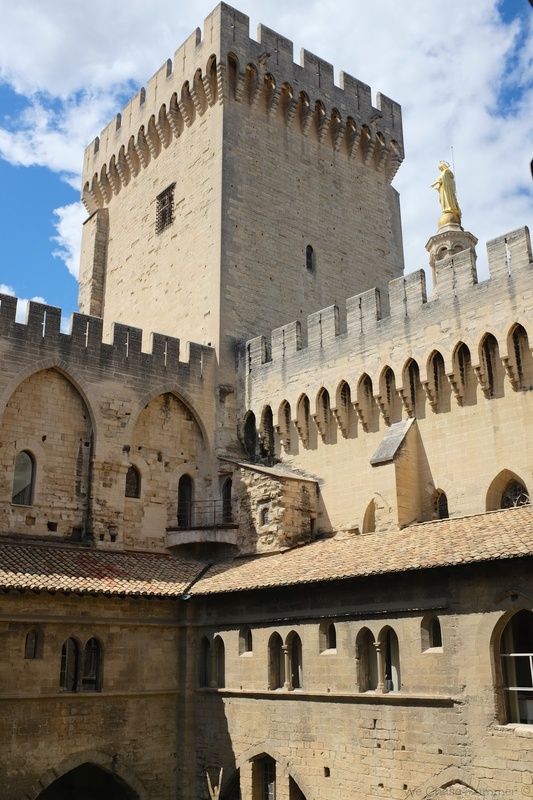 If I had the ability to go back in time, I might tell my past self to spend the month in Avignon, which is only about a half hour drive from Nimes. 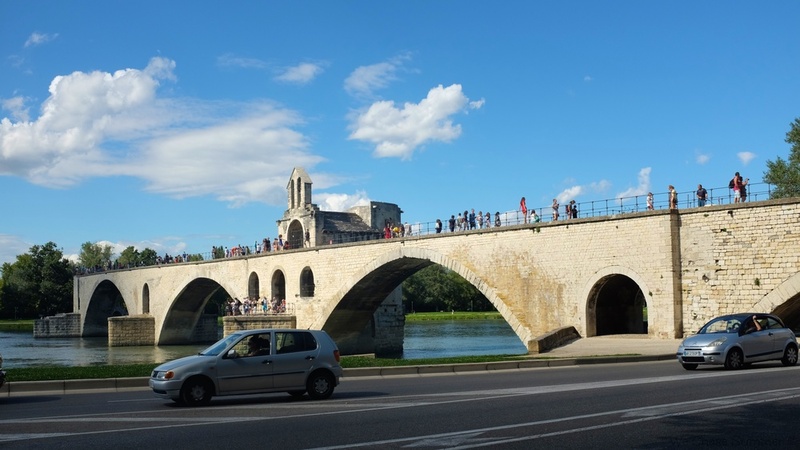 We loved the charm of Avignon, the medieval walls and ramparts enclosing the city, the Palais des Papes, and the stunning Pont du Gard aqueduct. 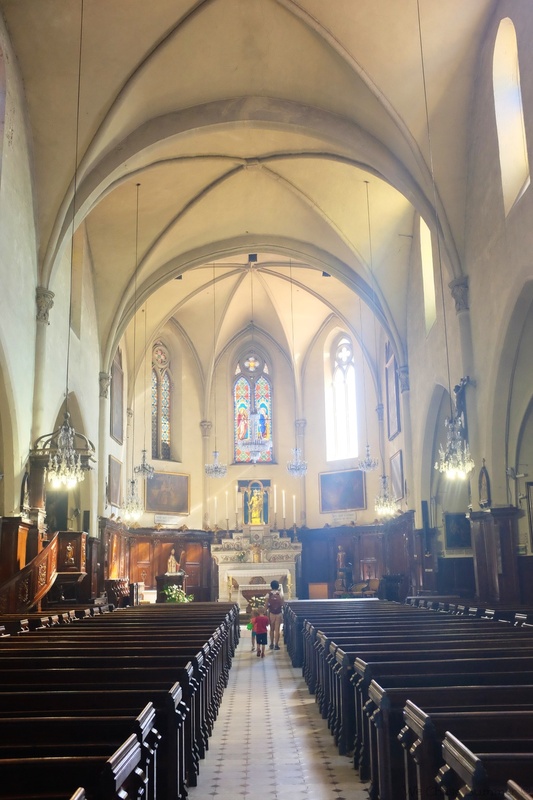 While it is smaller than Nimes, and I'm sure we would have run out of things to do early on as well, the atmosphere of this Provence city is much more what we were looking for from our stay in France. 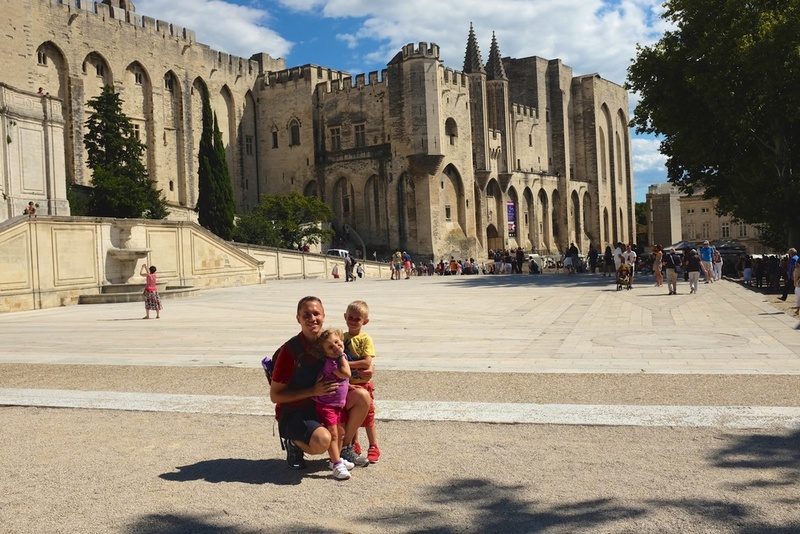 Avignon seems to have more charm and a much more lively spirit than Nimes. We will have to go back to explore the streets and the city center more another time. 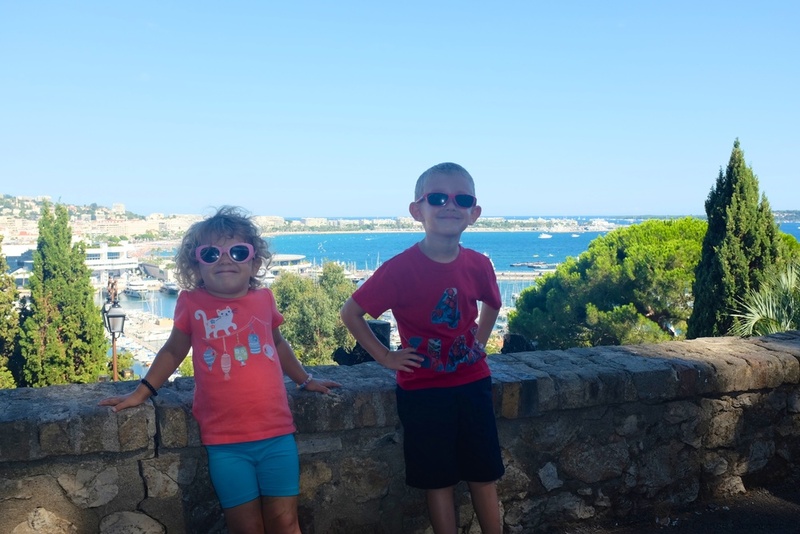 While staying in Nimes, we embarked upon a week long road trip through the French Riviera to Italy. Cannes was our first destination, though we did not stay there for long. 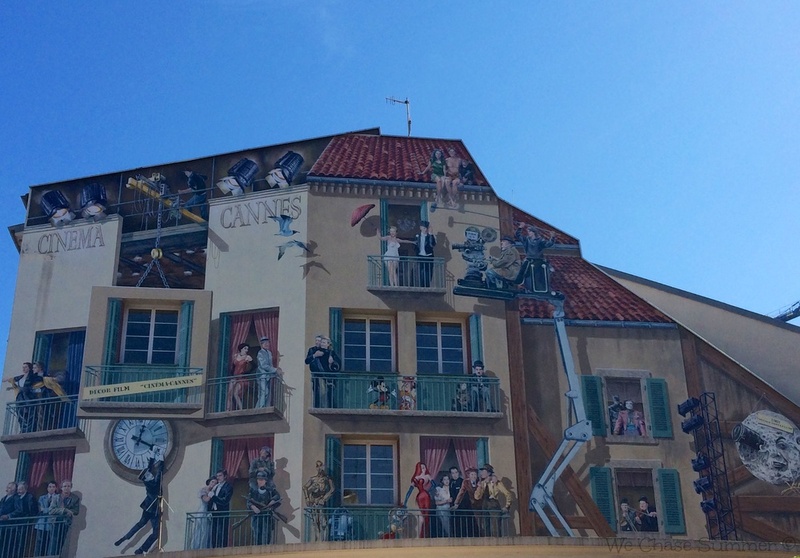 We knew we had to at least check out the home of the Cannes Film Festival while in the area, so we just enjoyed an afternoon in the town. 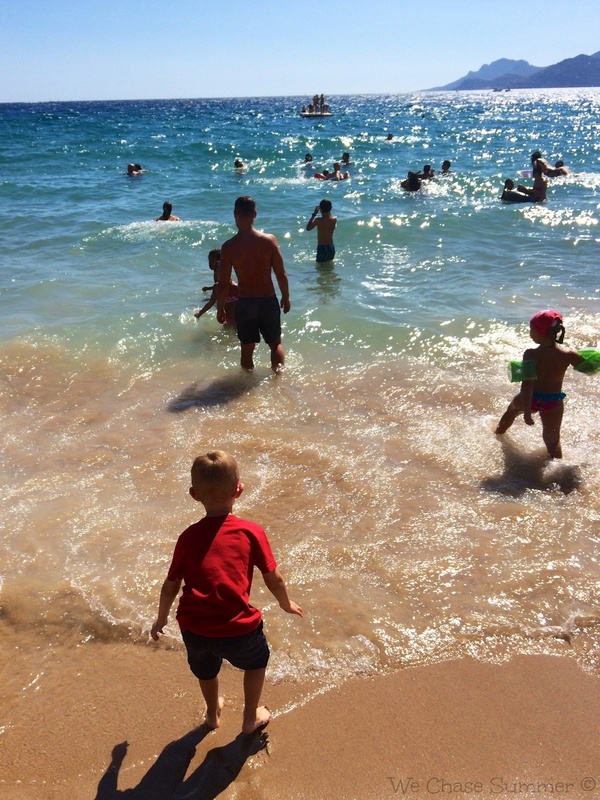 Cannes is home to some very lovely, sandy beaches. We checked one out for all of about 10 minutes, and we really regret not being able to stay for longer. In addition to the beaches, we also checked out the old town, an area up some San Francisco'esque hills with wonderful views of the sea and the town. 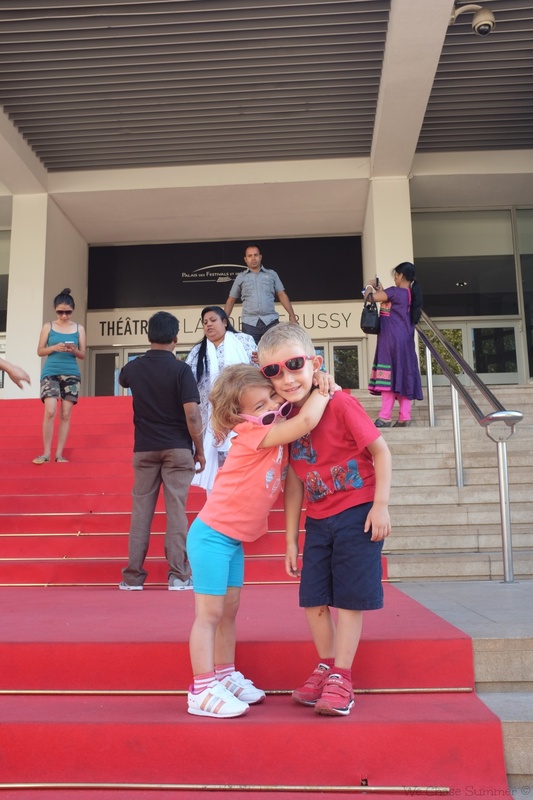 And finally, what trip to Cannes would be complete without checking out the red carpets of the Claude Debussy theater. We elbowed our way through throngs of wannabe models and actresses doing their best glamour poses and kissey faces long enough to grab a few pictures. It was a nice pit stop, but to us it was nothing compared to Nice. 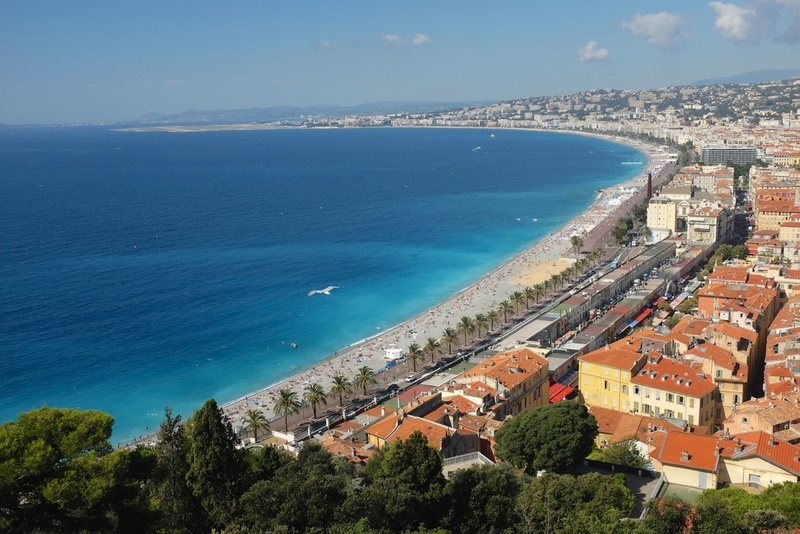 To truly appreciate the beauty of Côte d'Azur, also known as the French Riviera, you need a car. Otherwise you would miss out on some amazing sights, such as Corniche de L'Esterel. 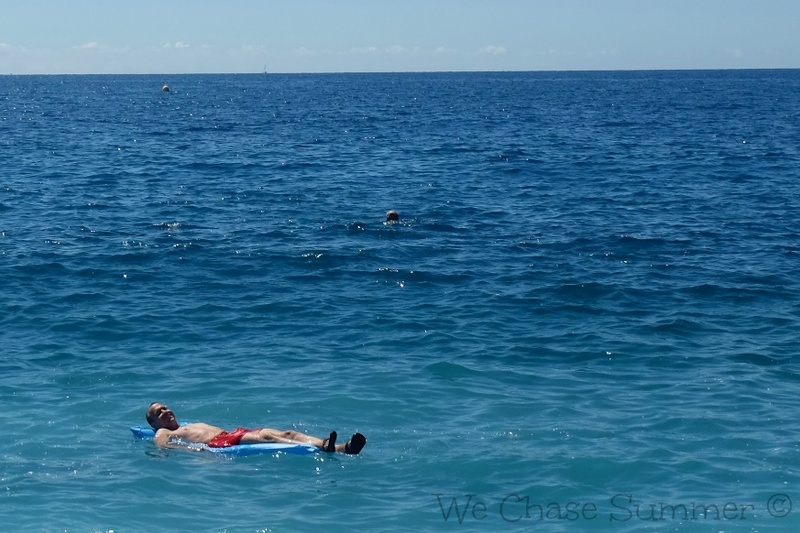 If I had enough money, I think I would have to buy a house somewhere near the water in Nice. This is by far my favorite town in southern France, and currently holds the title of my favorite beach town anywhere. The first thing that really sets Nice apart is the rocky beaches. While it sounds like it might be terrible, lying on the warm round stones is like visiting an upscale spa. There is no sandy mess either, which is always the worst part of the beach when you have kids. On top of that, the water, once you get past the somewhat steep descent and a couple waves close to the shore, is so pristinely calm, beautiful, and clean. 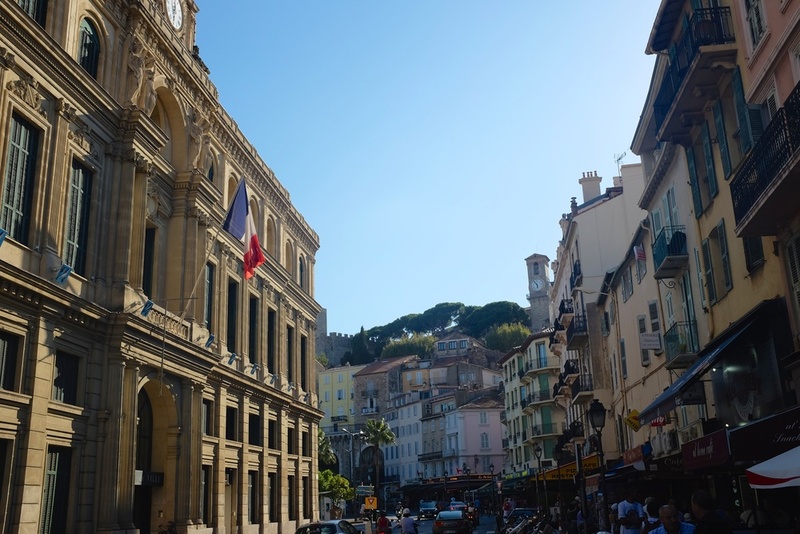 In addition to the amazing beaches, the old town "Vieux Nice" has so much charm, day and night. The markets, the cafes, and the restaurants are all so nice and beautiful. Similar to Cannes, you can also climb up the hills to Colline du Chateau Overlook for some truly stunning views of the town and the sea. 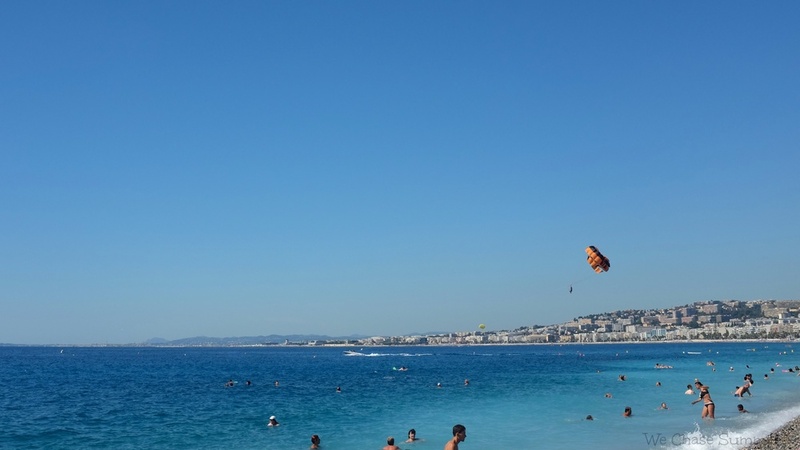 In fact, we loved Nice so much we stayed there twice, once on the way into Italy, and then once completely impromptu on the way back when we were looking for an excuse to spend more time in the city. A return to Nice? Yes Yes Yes Please!